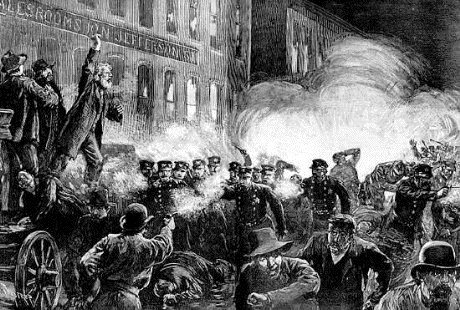 Labor discontent was not -long in re-emerging after the suppression of the Great Upheaval. By the mid-1880's, a vast "labor agitation" was coursing from the largest cities to the smallest towns. Perhaps typical were the groups that developed in the obscure railroad town of Sedalia, Missouri, in 1884. Led by a cobbler and a railroad machinist, they would meet night after night, discussing the condition of workers and how to change it, debating various labor philosophies and their promise for immediate action. From these groups came the leaders of future strikes in the area.